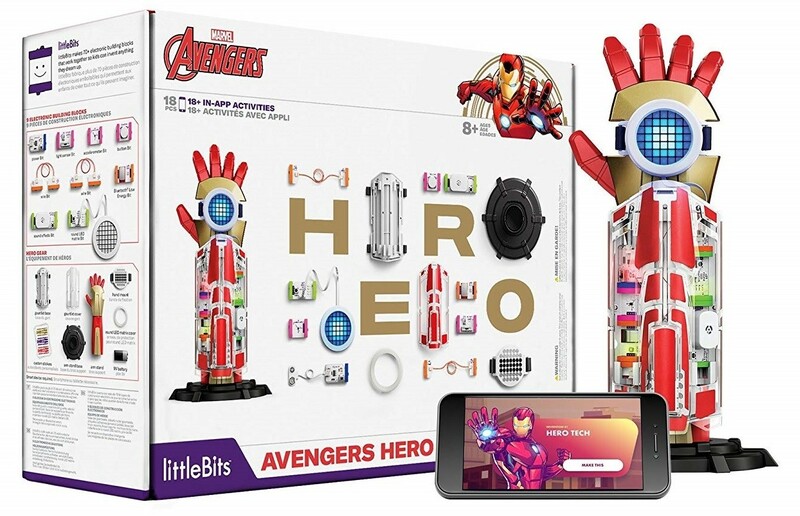 Join the Marvel Avengers to build and customize high-tech hero gear — and your own superhero identity — with littleBits electronic blocks! Kids will work with their favorite Avengers heroes, including Iron Man, Black Panther and Shuri, and Ant-Man and the Wasp. Enter superhero training in the app, control your gear with a smart device, give your gear new abilities with easy block coding, and use your creativity and STEAM skills to design the perfect hero identity with gear to match. With inventions like night vision to see in the dark, a speed tracker to test speed training, and hero icon design to code their own hero icon on the LED Matrix bit, kids will unleash the power of their imagination to change the world. 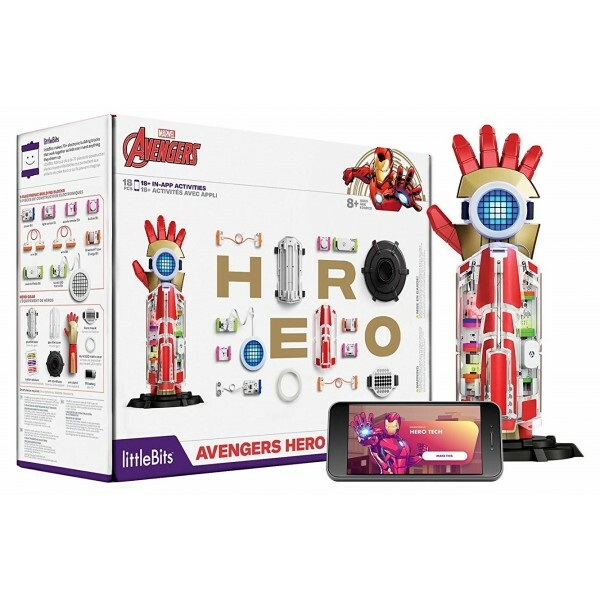 Product features include instruction videos for over 18 in-app activities, wearable tech sensors, in-app block coding, a customizable LED Matrix light design, and authentic Marvel Avengers sound effects.